Shell Sheli is holding a great Fall sale. Take 15% off sitewide when you enter the promo code FALLFUN15 at checkout. Additionally, get free shipping on anything (with no minimum) at ShellSheli when you enter promo code STAYANDSAVE at checkout. Sale ends on Monday, 11/2/15. And don't forget, Shell Sheli doesn't just sell shells. They also sell gorgeous modest skirts (under $50) and skirt extenders as well, With Shell Sheli great "clothing hacks," you can basically make almost any outfit modest! 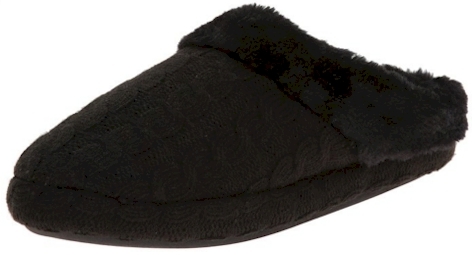 Today's (10/31/15) Amazon Gold Box Bonus Deal of the Day is on slippers, with prices ranging from $9.99 to $29.99. 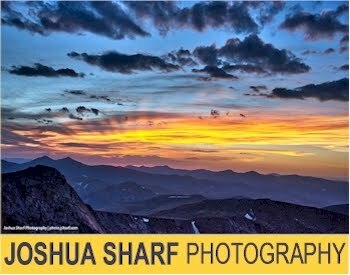 This awesome deal is back! Amazon has got this K'Nex 70 building set (705 pieces!!) for $16.98 with free Prime/SuperSaver shipping, the lowest recorded Amazon price on this super-popular set. This price even beats last year's Black Friday price! It got 4.6 out of 5 stars over 232 customer reviews. (The average Amazon price on this set is $32.33.) Get it at this price before it sells out! They are limiting this purchase to 3 per Amazon account because of the low pricing. 705 pieces to build a hot air balloon, boats, trucks, a sand castle and more! 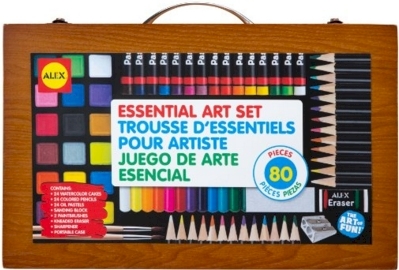 Amazon has got this 80-piece Alex Essential Art Set for $15.03 with free Prime/SuperSaver shipping. This price is just $1.03 more than the lowest recorded Amazon price on this highly-rated set which got 4.5 out of 5 stars over 11 customer reviews. Description: The Alex Toys 55E Artist Studio Portable Essential Art Supplies Set will introduce children to the creative world of art. This 80-piece set comes complete with watercolors, pastels, colored pencils, paintbrushes and more all held together in a convenient carrying case. This kit is recommended for all ages, from toddlers to teens and everything in between. 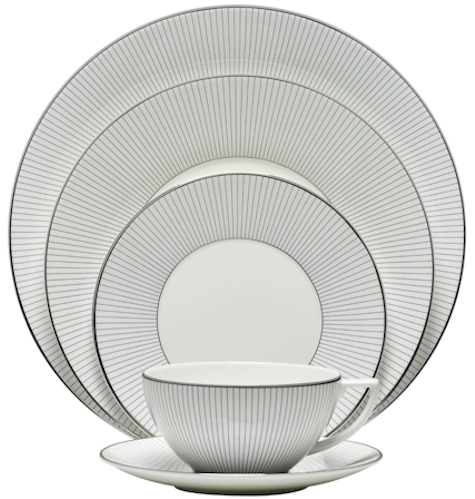 If you've always wanted to own a classy set of Wedgwood china, check out the Amazon price drop on this 5-piece place setting of Wedgwood Jasper Conran Pinstripe for only $41.37 with free Prime/SuperSaver shipping. Because the price is so low, the limit is 8 settings per Amazon account, so if you want a set of more than 8 settings, you'll have to use your spouse's or a friend's account. Just to give you an idea of how much this elegant pattern normally cost, check out the price on this Wedgewood china at Bloomingdales, or at Bed Bath & Beyond, $139.00, almost a hundred dollars more! 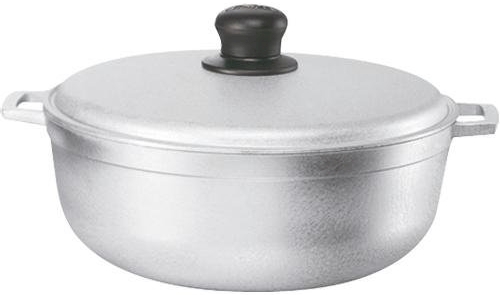 Amazon has got this IMUSA cast aluminum 3.7 quart Dutch oven for $6.08 with free Prime/SuperSaver shipping, the lowest recorded Amazon price on this pot. It got 4.1 out of 5 stars over 36 customer reviews. 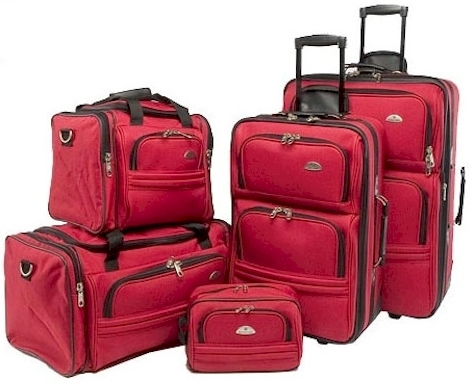 Description: The Samsonite 5-Piece Travel Set is a comprehensive luggage set that even includes a toiletry kit. There's room for everything in the four luggage styles: boarding tote, duffel, 22 wheeled carry-on, and 26 wheeled packing case. 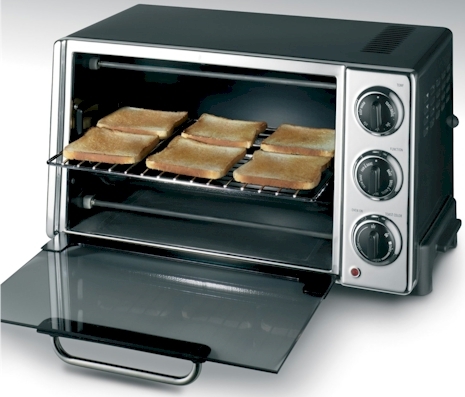 The exterior is made of a durable 1200 denier polyester and the interiors are fully lined. This set contains 5 different sizes to fit every travel need, including a 26" upright, a 22" upright, a travel duffle, a travel tote, and a toiletry kit. 10 Year Warranty. This is an Amazon Add-On item, which means that it ships for free with a $25 minimum order if you are an Amazon Prime member (and the $1.83 price counts towards that $25), or it ships for free with a $35 minimum order if you're not a Prime member. 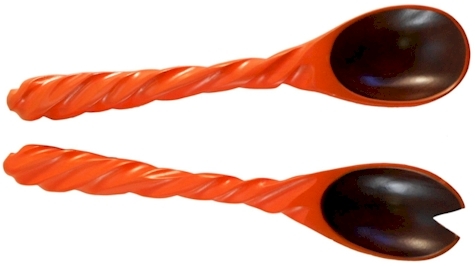 You can also order multiples of this tool in order to get closer to the $25. Need new bedding? How would you like to get brand new sheets and pillowcases for both beds on that high-riser in your guest room for twenty bucks total? Yup. Amazon has got this 3-piece twin sheet set for $9.99 with free Prime/SuperSaver shipping, the lowest recorded Amazon price on this set. This bedding got 4.4 out of 5 stars over 722 customer reviews. It comes in 20 colors and includes a flat and fitted sheet and a pillowcase. There is also a 4-piece full-sized sheet set available for $11.99 and a 4-piece queen-sized sheet set for $13.99. Not all of the colors are priced this low...you need to select the color and the size you'd like to see how much the set actually costs. Some of these color/size combos are temporarily out of stock; however you can order them and lock in the price, and they will ship in a few days or so when they re-stock. Now as far as purchasing microfiber bedding versus cotton bedding, there are advantages and disadvantages to buying both. I have found that microfiber sheets tend to not hold on to dust, dirt and dander as much as cotton does, and if you're in a home with allergies and/or pets, that might be important to you. Microfiber sheets have to be less than 1 denier thick (which is thinner and finer than silk) by definition, and so they are able to be very soft and comfortable to the touch. However, they are not natural/organic fiber like cotton is, and some people have a strong preference for strictly natural fiber bedding. Caring for and laundering microfiber sheets and cotton sheets basically have the same requirements. 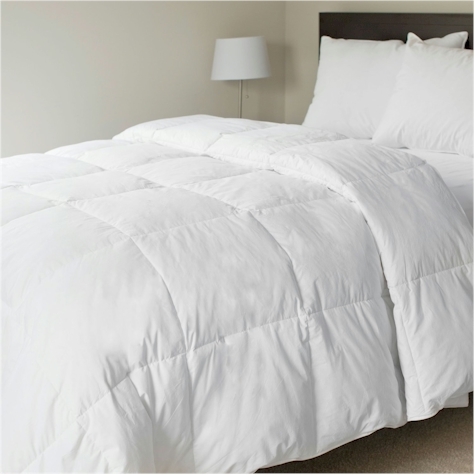 Personally, we have a mixture of both microfiber and cotton bedding. Twin Size 3-piece set - Flat Sheet 66"x96", Fitted Sheet 39"x75", 1 Pillowcase 20"x30"
Full Size 4-piece set - Flat Sheet 81"x96", Fitted Sheet 54"x75", 2 Pillowcases 20"x30"
Queen Size 4-piece set - Flat Sheet 102"x90", Fitted Sheet 80"x60", 2 Pillowcases 20"x30"
Deep pockets - fitted sheet fit for mattress depth 13"-17"
Microfiber - superfine fiber, very soft silky touch, help to control the temperature, and good to get a comfortable night's sleep. Do not dry bedding on high temperatures. 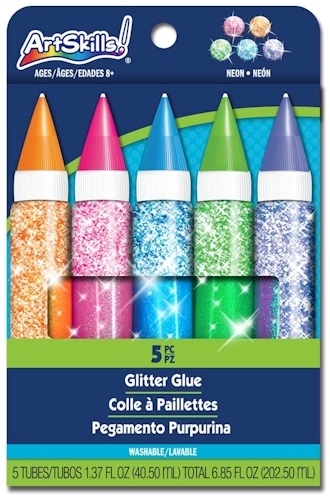 Amazon has got this box of Artskills Glitter Glues (5-count) for $5.99 - $1.50 online coupon = $4.49. It got 4.2 out of 5 stars over 3 customer reviews. This is an Amazon Add-On item, which means that it ships for free with a $25 minimum order if you are an Amazon Prime member (and its pre-coupon price of $5.99 counts towards that $25), or it ships for free with a $35 minimum order if you're not a Prime member. You can order multiples of this item in order to help get you towards your $25 or $35 goal, but you can use the $1.50 coupon only once. Amazon has got this mother-of-pearl and crystal Bulova women's watch (model #98L174) for $62.50 with free shipping. This beautiful watch got 4.5 out of 5 stars over 5 customer reviews. This would make a killer Chanukah gift for some fortunate woman. If you've been reading Daily Cheapskate for a while, you probably know that I love getting great prices on good watches and that I'm a Bulova watch junkie. NORDSTROM: 100% Silk Donna Morgan Chiffon Shawl for $24 (off-season steal). New colors added! 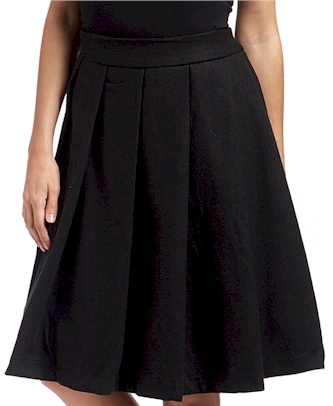 Heavily discounted Junee skirts on Zulily (with free shipping). TWELVE JUNEE SKIRTS STILL AVAILABLE! 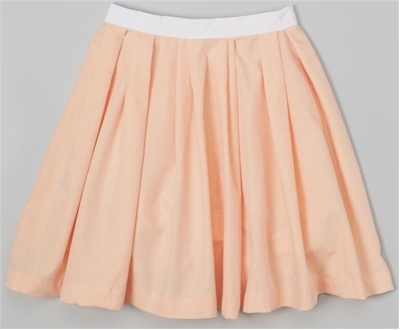 UPDATE 10/29/15: There are still 12 Junee skirts available on Zuliliy; but they are selling out like hotcakes, so hurry! Wow! Zulily has got a whole bunch of heavily discounted Junee skirts, with the women's skirts starting at $19.99 $17.99 and the girls'/toddlers' skirts starting at $16.29. These prices are way, way lower than I've seen on the Junee website or in Junee stores, so you can snag some incredible bargains here. Get FREE SHIPPING when you choose Visa Checkout as your payment method. Visa Checkout is an online payment method similar to PayPal that allows you to use any major credit card (Visa, MasterCard, American Express) as a payment method. Some of these skirts might appear shorter than they actually are because the models are wearing them rather high up on the waist. Pay attention to the skirt length noted in the description because Junee skirts are actually designed with tznius in mind. They describe themselves as "Leading Provider of Modest Clothing." FYI, these Junee skirts are not returnable. If you're confused about which size to get, please check here on the Junee's sizing chart. What a fantastic deal on a tablecloth! 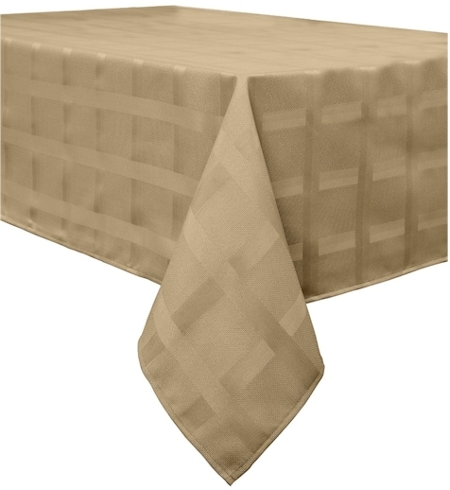 Amazon has got this 52" x 70" Creative Dining Group Maison Heavyweight Fabric Tablecloth for $4.16. This is an Amazon Add-On item, which means that it ships for free with a $25 minimum order if you are an Amazon Prime member (and its price of $4.16 counts towards that $25), or it ships for free with a $35 minimum order if you're not a Prime member. You can order multiples of this item in order to help get you towards your $25 or $35 goal, but because of the extremely low price, this is limited in quantity to only 4 per Amazon account. 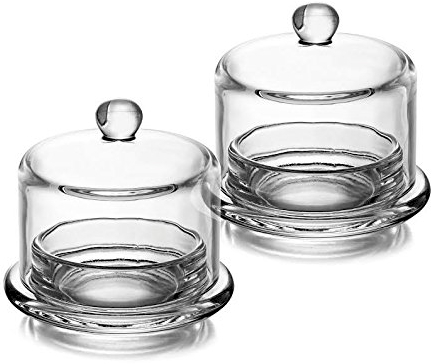 Amazon has got this pair of Style Setter Soho Glass Butter Dishes for $12.99 with free Prime/SuperSaver shipping. These elegant covered dishes can be used for so much more than just holding butter. I love the beautiful rounded handles on this set! Amazon has got this 4-piece Picnic at Ascot cheese set for $8.96 with free Prime/SuperSaver shipping. This IVV platter (17" x 6.25") is now priced at $11.07 with free Prime/SuperSaver shipping. 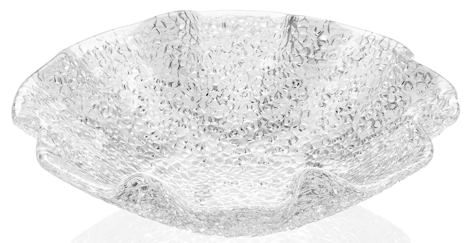 This IVV 9.75" scalloped serving bowl is now priced at $8.31 with free Prime/SuperSaver shipping. Very pure pressed glass, hand finished. Special 2013 collection, a texture that shimmers and shines on your table and kitchen. 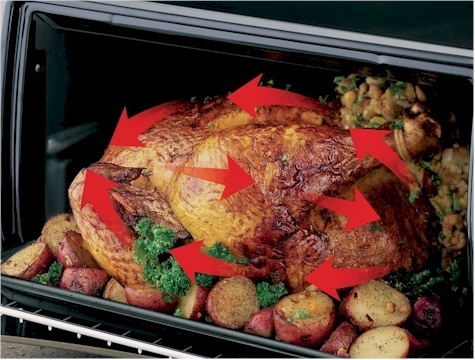 Not safe in oven nor microwave. There is no lead in this glass. 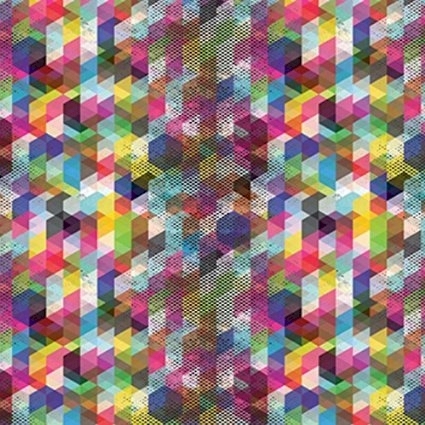 This is both a practical and pretty deal for the upcoming holiday gift-giving season: snag 6 rolls of The Gift Wrap Company Premium Wrapping Paper in "color prism" for only $4.35 on Amazon! Each roll contains 5' L x 2.5' W of wrapping paper for only 72 cents per roll! The regular price on this premium wrapping paper is $27.00 for the 6-pack or $4.50 per roll so you are getting this at an 84% savings discount, wow! This is an Amazon Add-On item, which means that it ships for free with a $25 minimum order if you are an Amazon Prime member (and its price of $4.35 counts towards that $25), or it ships for free with a $35 minimum order if you're not a Prime member. You can order multiples of this item in order to help get you towards your $25 or $35 goal, but because of the extremely low price, this is limited in quantity to only 3 per Amazon account. Amazon's got these Enrico artisan hand-carved, mango wood salad servers with spiral handles for $6.13 with free Prime/SuperSaver shipping, the lowest recorded price on these servers. They received 5 out of 5 stars over 2 customer reviews. I have a few mango wood bowls (that I bought back here) and they have such a beautiful texture and feel that I grabbed two sets of these salad servers, one for us and one for a hostess gift. Print your coupon to get a FREE Revlon Diamond Top Coat (value: $7.99) with any Revlon ColorStay Gel Envy Longwear Nail Enamel purchase. 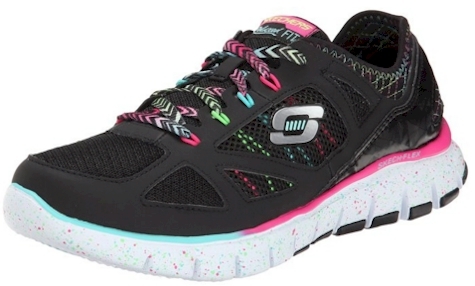 Amazon's Gold Box Deal of the Day is 50% off these Skecher's shoes. Today, 10/28/15 only. 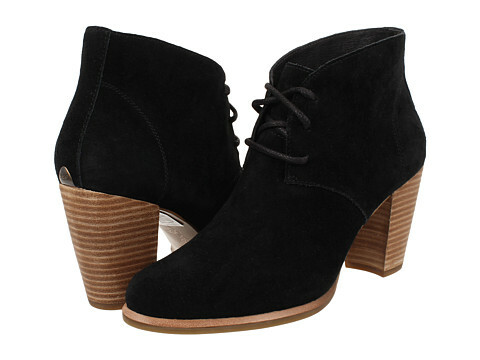 Men's and women's casual shoes and sneakers and some boots are included in this promotion. 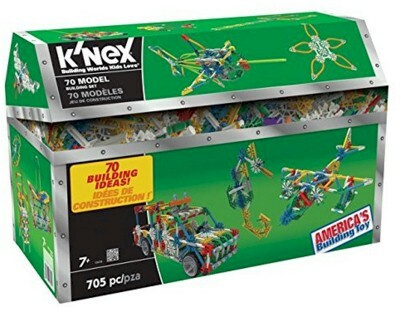 The VERY highly-rated Kid K'NEX Build a Bunch Building Set has now dropped to $18.01 with free Prime/SuperSaver shipping on Amazon (this set has been hovering at around $22 for a while; nice to finally see a decent price drop). 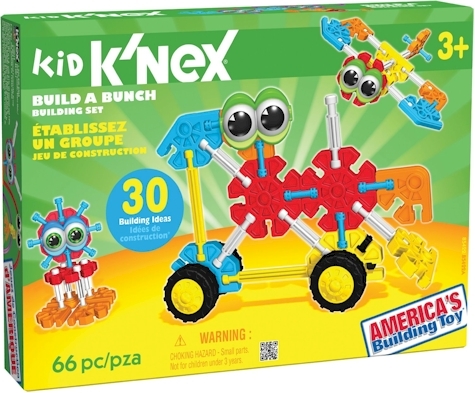 This 66-piece Kid K'NEX set got 4.8 out of 5 stars (!!!) over 58 customer reviews and not a single review is one or two stars. I read most of the reviews and they are RAVES. Terrific idea for a Chanukah present. 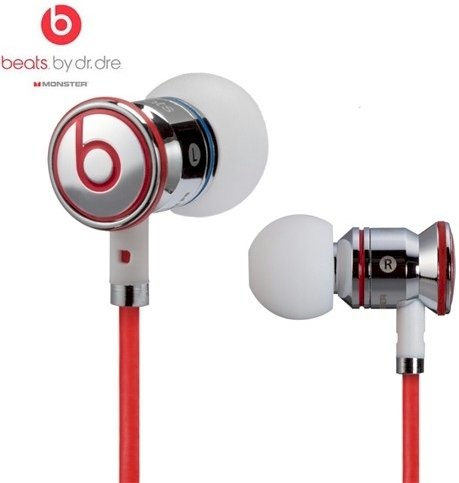 GearXS has these Beats by Dr. Dre Monster In-Ear Headphone UrBeats in white priced at $29.99 with free shipping. This is a crazygood deal; google these headphones and see what other sites are charging for them! Unless GearXS has a large supply, these will sell out. 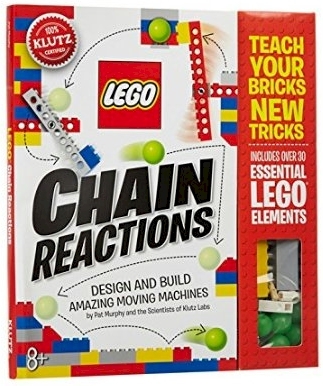 Want your kids to learn about physics and engineering through....LEGO? You heard me right. 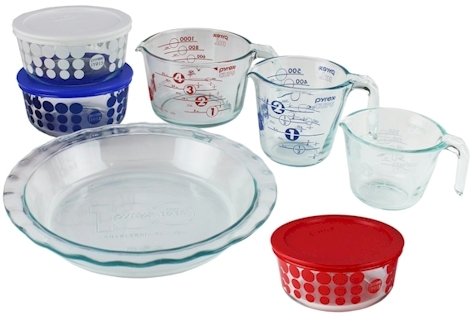 Amazon has got this Pyrex 10-piece Centennial Glass Bakeware and Food Storage Set for just $18.59 with free Prime/SuperSaver shipping, the lowest recorded Amazon price on this Pyrex set. 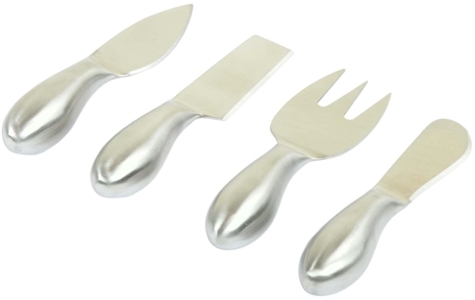 This set got 4.4 out of 5 stars over 733 customer reviews. 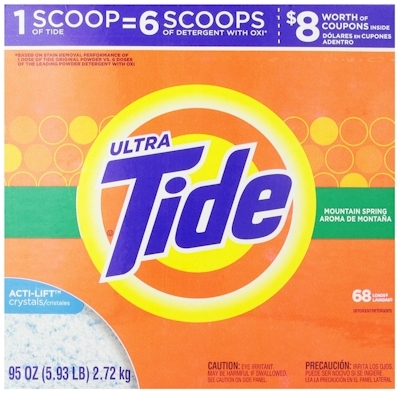 Amazon has got a FANTASTIC DEAL on Tide, as a matter of fact, the lowest recorded Amazon price on this particular 95 oz. box of Tide Ultra, $8.17 or 8.6 cents per oz., when you stack a $2.00 coupon with a 15% Subscribe & Save discount. This beats my local Costco's price on Tide powder of 11.8 cents per oz. (see below), and is a savings of 27% on the Costco price! $10.17 - $2.00 coupon = $8.17 or 8.6 cents per oz. with the 15% Subscribe & Save discount, if you can take delivery of 5 or more active subscriptions in one month. $11.37 - $2.00 coupon = $9.37 or 9.9 cents per oz. with the standard 5% Subscribe & Save discount. 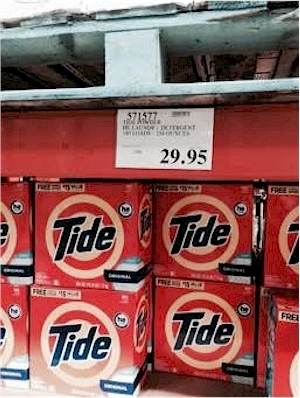 Check out my local Costco price on Tide (YMMV), $29.95 for 254 oz., or 11.8 cents per oz. Yup, Amazon beat Costco's price by 27%! Great deal on Tide. Amazon has got this set of six Bormioli Rocco Ypsilon Jugs (made in Italy) in orange for $10.73 with free Prime/SuperSaver shipping ($1.79 each). This price is just absurdly low, as the other colors are all over $50 (most are over $60). These beautiful glass jugs got 5 out of 5 stars over 2 customer reviews. They are dishwasher-safe and hold 18.5 ounces (approximately a half-liter). 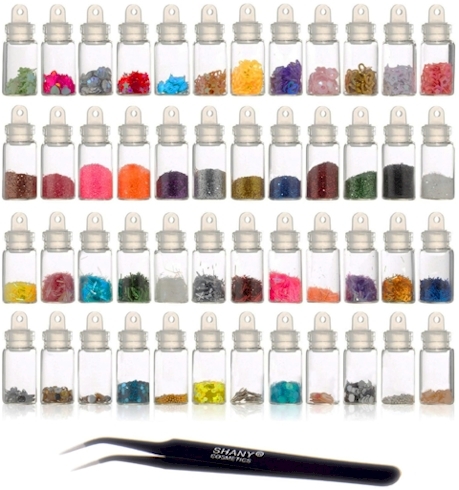 Amazon has got the SHANY Cosmetics 3D Nail Art Decoration Kit with 48 mini bottles and nail art tweezer for $8.46 with free Prime/SuperSaver shipping. The set is priced at $9.95, but "clip" the 15% off online Amazon coupon, and that price will drop to $8.46. It got 4.1 out of 5 stars over 206 customer reviews. 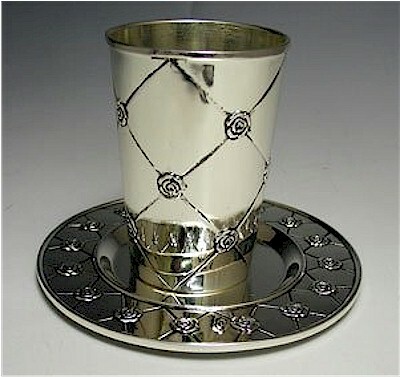 Amazon has got this Judaica Roses kiddush cup with tray for only $12.49 with free Prime/SuperSaver shipping. 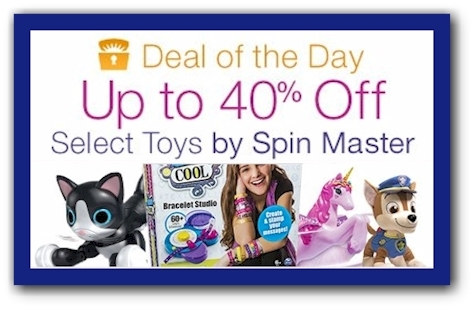 Today's (10/27/15) Amazon Gold Box Deal of the Day is up to 40% off select Spin Master toys, including Star Wars, Flutterbye, Paw Patrol, Zoomer Pets, Kinetic Sand and more, with prices starting at $8.99. Today, 6/27/15 only, take an extra 10% off your total purchase at 6PM.com when you enter promo code TREATS10 at checkout. 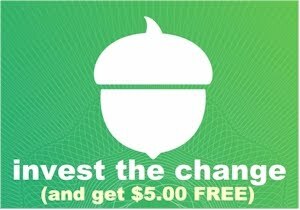 Free shipping on orders $50 or more (new shipping policy). The UGG Mackie boots pictured above are priced at $78.75, but drop to $70.88 with free shipping after you enter the promo code. Available in sizes 6-12. Nordstrom Rack has got these UGG Genuine Shearling Trim Tech Gloves for women for just $44.97 + $7.95 shipping = $52.92 shipped. I bought these gloves last winter and they are fantastic; they really do the job at keeping my hands toasty and it was a nice perk to be able to use my phone with my gloves on. Description: Water-resistant gloves are crafted with fingertip technology compatible with touchscreen devices. Genuine shearling cuffs add that rich touch UGG Australia is known for. Amazon has got this Lavish Home 100% cotton feather down bedding comforter in twin size for $45.68 with free Prime/SuperSaver shipping. Winter is on its way (that's the bad news) and this deal is back from last year (that's the good news): get this 2-count of Mountain Lodge Merino Wool Socks for $7.99 with free shipping, or $4.00 per pair, on 13Deals. Order 10 of these and your price drops to $6.99 with free shipping. These socks are 71% merino wool. I wear merino wool socks with my boots in the winter; they are awesome. 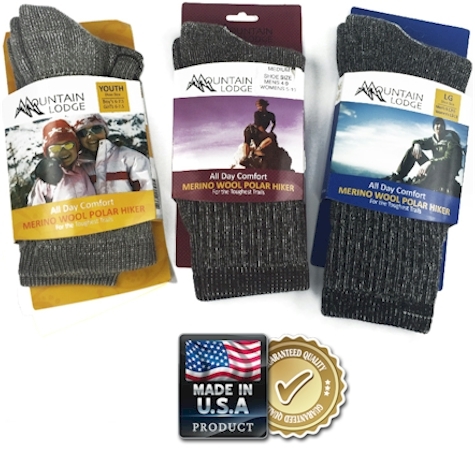 Description: the whole family can stay warm with this incredible deal on Merino Wool socks. If you want all day comfort and all day warmth, these are the socks for you. They're made right here in the USA too! Each size includes 2 pairs of socks. Colors may vary. LOWEST PRICE: Bright Starts Playful Pinwheels Bouncer for $19.63 on Amazon. Baby not included. 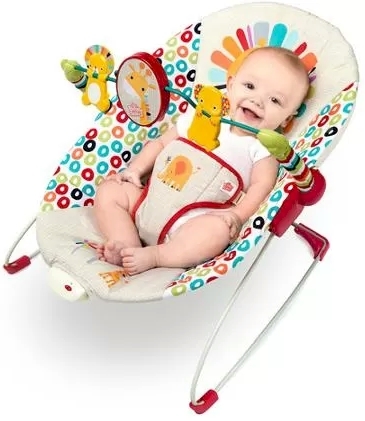 Amazon has got this Bright Starts Playful Pinwheels Bouncer for $19.63 with free Prime/SuperSaver shipping (and free returns), the lowest recorded Amazon price on this popular baby bouncer. It got 4.4 out of 5 stars over 132 customer reviews. 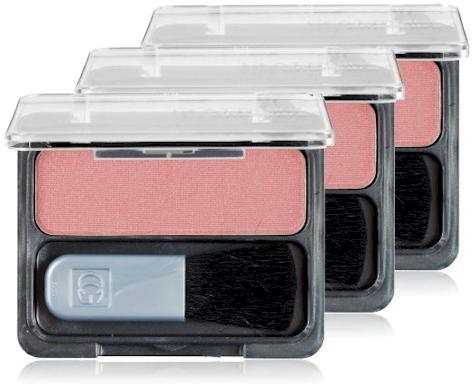 Amazon has got this CoverGirl Cheekers Blush in Deep Plum (#154) for $2.72 - $1.50 coupon = $1.22. This is an Amazon Add-On item, which means that it ships for free with a $25 minimum order if you are an Amazon Prime member (and its pre-coupon price of $2.72 counts towards that $25), or it ships for free with a $35 minimum order if you're not a Prime member. You can order multiples of this item in order to help get you towards your $25 or $35 goal, but you can use the $1.50 coupon only once. Whoa! Check out this price on the 100% cotton, machine washable, Aura Medallion Duvet Cover 230 thread-count set for $19.99 in twin size, $29.99 in full/queen size and $24.99 in king size. Compare this to the same items on Bed, Bath & Beyond for $79.99 - $129.99 (even with a 20% BB&B coupon, the Amazon price is still a fraction of the BB&B price). 1 Twin Duvet Cover 68 in. x 90 in. 1 Sham: 20 in. x 26 in. 1 Full queen duvet cover: 92 in. x 96 in. 2 shams: 20 in. x 26 in. 1 King duvet cover: 110 in. x 96 in. 2 king shams: 20 in. x 36 in. Amazon has got the Gorham Kathy Ireland Home Kahala 10.25" Serving Bowl for $12.31 with free Prime/SuperSaver shipping. It has only one customer review, but it's a rave at 5 out of 5 stars. 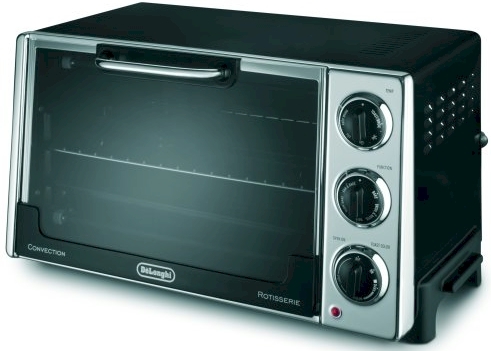 Bowl diameter is 10 1/4"
Wayfair has got the DeLonghi 6-Slice Convection Toaster Oven with Rotisserie (model #RO2058) for $39.98 with free shipping. 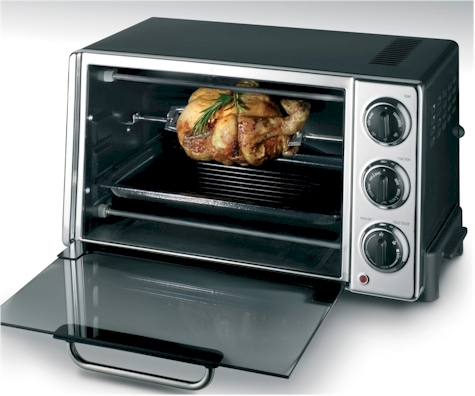 Thank you to Daily Cheapskate reader Shellie who pointed out that the DeLonghi oven on the Wayfair site was refurbished. You can still get it new on Amazon for $42.94 (Compare this to Staples' price of $149.99.) It got 4.1 out of 5 stars over 119 customer reviews. Wow! 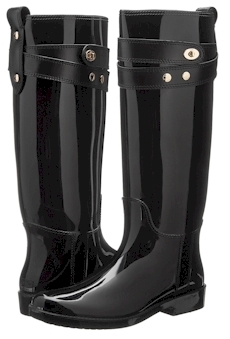 These gorgeous Coach Talia rain boots are at 6PM.com for only $79.99 with free shipping (they start at $119.99 on Amazon and $129.99 at Walmart) These are available in sizes 5-11. I just got my size 8s. I love these and the price is terrific for Coach footwear. 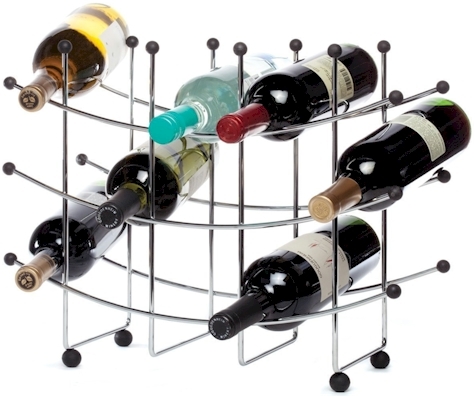 Amazon has got this Oenophilia 15-bottle Fusion Wine Rack for $18.93 with free Prime/SuperSaver shipping. Crocs.com is running a great promotion on one of my favorite style of shoes. 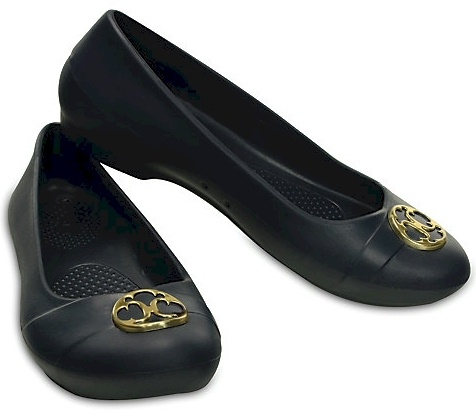 Gianna Disc Flats, normally $34.99, drop to $14.99 when you enter promo code GIANNA15 at Crocs.com. 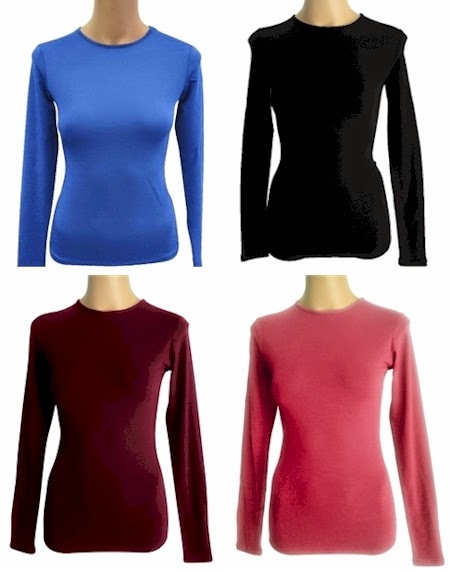 They come in six color combinations and in sizes 4-11. Free shipping at Crocs starts with $24.99 minimum orders, so you might want to grab two pairs. If you've been reading Daily Cheapskate for a while, you know how much I love the Crocs That Don't Look Like Crocs. Let's face it. On a scale of one to ten, Crocs generally get a 10 for comfort and a minus 3 for beauty. Most Crocs are just not a good-looking shoe, but they are very comfortable and practical. But not so with the Gianna style. I discovered the Crocs Gianna line about a year ago, when I had trouble finding a pair of dress flats for walking on Shabbos. I just wanted something that would be decent looking and comfortable. I started out in the Gianna flats that have a chunky chain embellishment (no longer available at Crocs.com) across the top. They don't look like Crocs, and they don't look like rubber shoes. They look like regular flats from a decent distance. And more than that, they are pretty. Almost no one guessed they were Crocs (unless they were very familiar with the style). They aren't completely flat; there is a small lift to the heel and they are shaped in a way that flatters your foot and ankle. I was surprised at how nice and un-Crocsmanlike they appeared. But, they are extremely Crocsmanlike in terms of comfort. I've walked in them for miles at this point, and they are about as comfortable as a pair of slippers, but with much more support. I thought it would be weird to wear rubber shoes on Shabbos, but they turned out to be a lifesaver when I got caught in the rain (just set them aside to dry afterward, water does not ruin them at all), and they weren't overly hot or uncomfortable in the slightest. Finally, in terms of traveling, they are so practical. They are very lightweight, go right in the suitcase without adding a lot of bulk, can get banged up and dirty and you can just rinse them right off. They were the perfect dress flats! I wouldn't wear them to a wedding, but I'd be perfectly comfortable wearing them to a business meeting. Since then, Crocs has expanded their Gianna line to include Gianna Bow Flats and Gianna Disc Flats, and I was waiting for a great sale to pick either or both of these up. I don't think I'll do any better than fifteen bucks, so I'm going to pick up a pair of the black Gianna Disc Flats the gold disc and the black ones with the silver disc. If you don't want to get two pairs of the same style shoes but want that free shipping, check out the newest markdowns over here.